When you're thinking of visiting the state of New South Wales, get to its capital, Sydney. Positioned 8 kilometres south of the central business district, you will find the exciting neighbourhood of Mascot. Are you looking for major attractions such as the Sydney Opera House, Bondi Beach and Sydney Harbour Bridge? Look no further than Sydney. Teach the other players how it's done with a game of golf at Lakes Golf Club. Want to hit the hay close to this place? 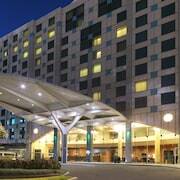 Look into the Holiday Inn Sydney Airport and Stamford Plaza Sydney Airport. Get the blood pumping with a sprightly trek through Manly Scenic Walkway. 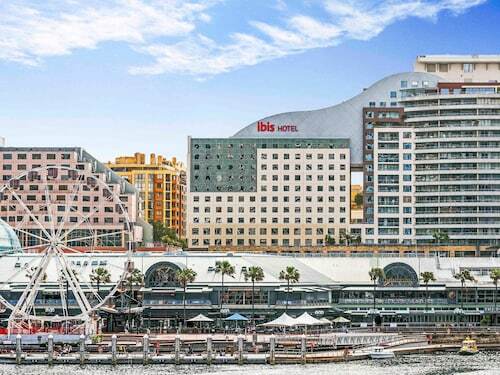 If this spot is more your thing, check out the Waldorf Randwick Serviced Apartments and ibis Sydney Airport. Trying to find a room in Mascot? 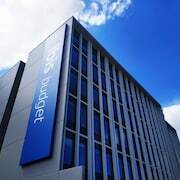 The ibis budget Sydney Airport should be at the top of your list if you are conscious of your budget. Are you and your mates seeking somewhere more fancy to stay in Mascot? 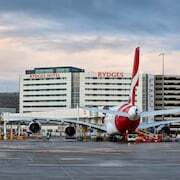 The Rydges Sydney Airport Hotel and AEA Sydney Airport Serviced Apartments are good options. Popping in to Garden Cafe Restaurant and Pizzeria is a terrific way to start the day in Mascot. Just follow the scent of roasted coffee beans! Not sure what to do for dinner? Look no further than Ichiro's Sushi Bar. The nourishing meals here will be sure to get your energy levels back up. Have you ever noticed that you tend to get thirsty as soon as the sun starts to set? Some hard-earned beers at Captain Cook Hotel is an ideal way to finish off a memorable day. It's worth thinking about booking accommodations in Sydney Airport or St Peters when organising your adventure in Mascot. Sydney Airport is only a kilometre from Mascot and St Peters is around 2 kilometres away from Mascot. Some spend their whole lives dreaming of exploring this remarkable world of ours. Don't let this happen. From flights and accommodations to car hire and activities, Wotif will make your plans into real life experiences. How Much is a Hotel Room in Mascot? Hotels in Mascot start at AU$95 per night. Prices and availability subject to change. Additional terms may apply.